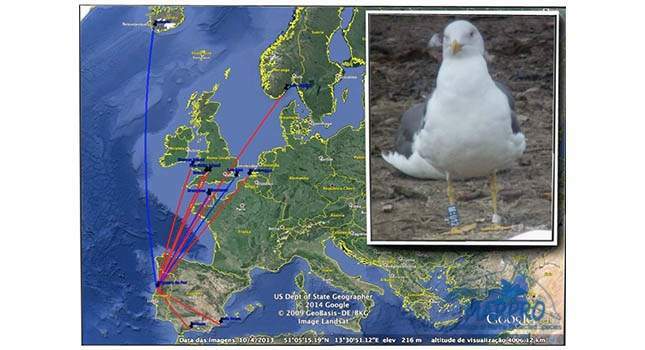 Since October of 2013 all seagulls recovered in CRAM-Q are released with a blue colour ring, making it possible to followed them by sighting, without the need of recapture. 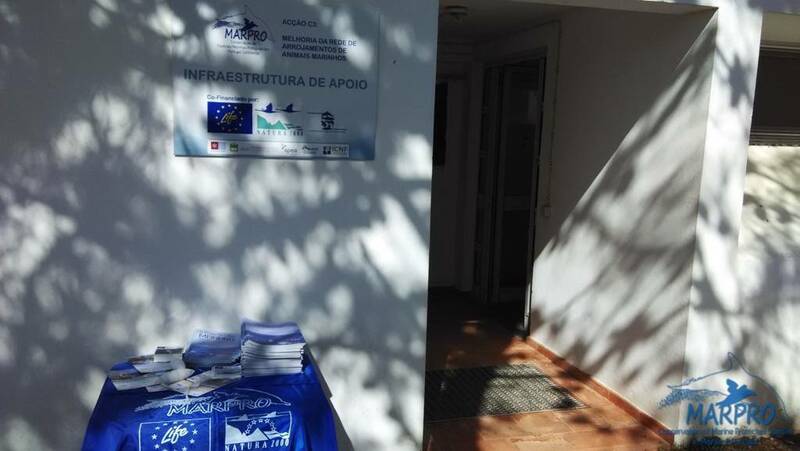 The Life + MarPro project was invited to participate in the "Semana da Ria Formosa" within the activities of the "Fórum Água Jovem 2016" proposed for the morning of April 6th. 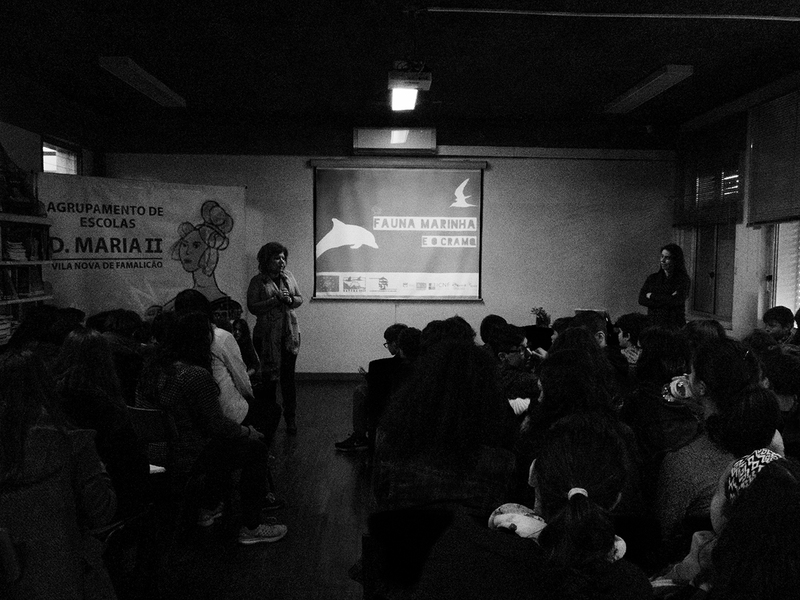 The LIFE+ MarPro Project was invited to participate at the "Reading Week" of the School D. Maria II in Famalicão, Braga. 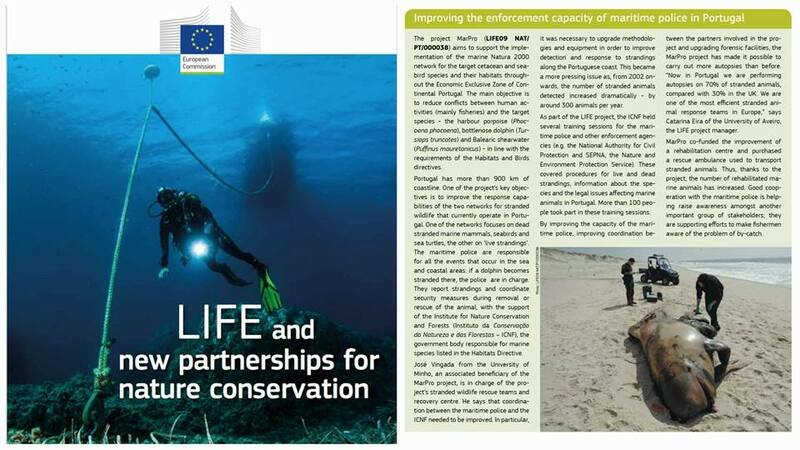 The European Commission has recently published an oficial document on the Natura Projects entitled "Life and new partnerships for Nature Conservation"
In the 8th of February, a juvenile loggerhead sea turtle was found alive inside a fishing net by fishermen. 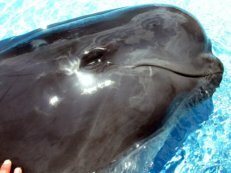 They swiftly removed it from the net and contacted the CRAM-Q (Marine Animals Rehabilitation Center of Quiaios) so the animal could be assisted as soon as possible. 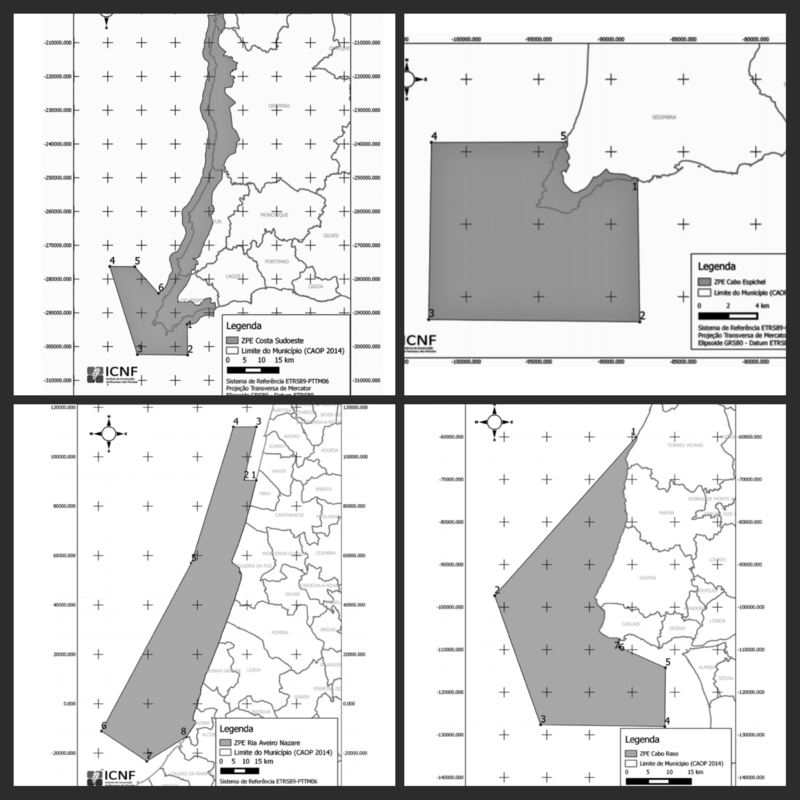 One of the main objectives of the LIFE+ MarPro Project is to elaborate the proposal of new Natura 2000 network offshore areas and their management plans with reference to Phocoena phocoena, Tursiops truncatus andPuffinus mauretanicus. 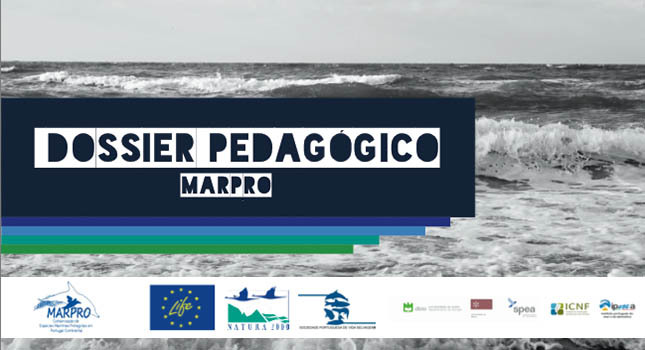 Yesterday, the LIFE+ MarPro Documentary: A Sea to Protect was screened at the LIFE+ MarPro Workshop: Natura 2000 sites and fisheries. 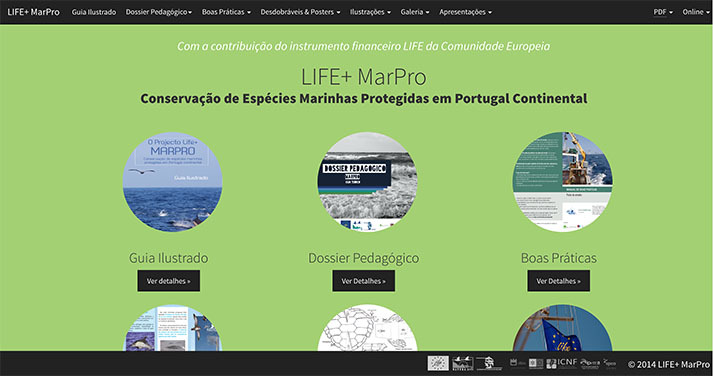 You can now read at the LIFE+ MarPro Workshop website, the abstracts of the presentations each speakers will give. 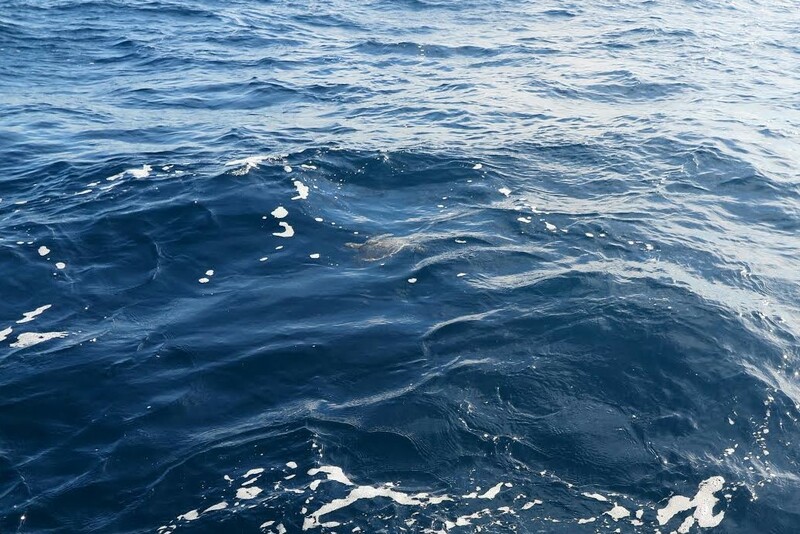 On the 25th of November, after about two months of rehabilitation at CRAM-Q (Marine Animals Rehabilitation Center of Quiaios), a green turtle (Chelonia mydas) was released about 14 miles off Portimão. At the time of release, it weighted 8.47kg and measured 38.1cm of straight carapace length. For its involvement and experience, sharing and exchange of information with the fishing industry is considered essential. 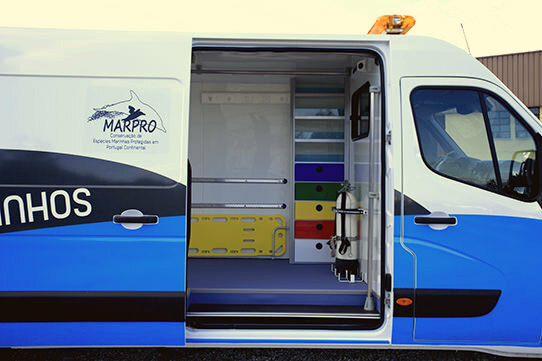 This second mini-documentary shows the involvement of the industry in the LIFE + MarPro Project. 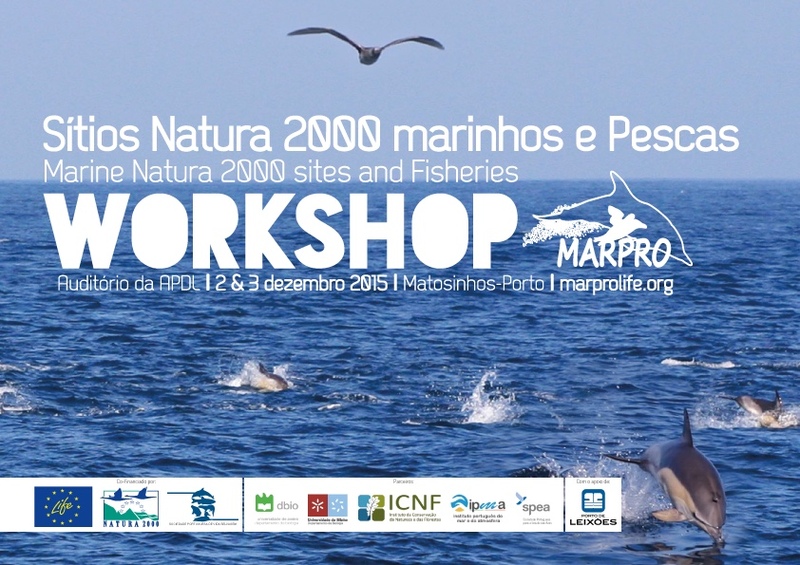 These mini-documentaries will precede the final documentary, which will be aired at the LIFE+ MarPro Workshop: Natura 2000 sites and fisheries. 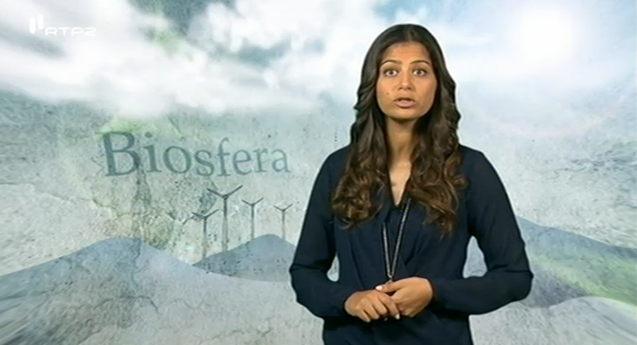 This first mini-documentary is a brief presentation of LIFE+ MarPro Target Species. 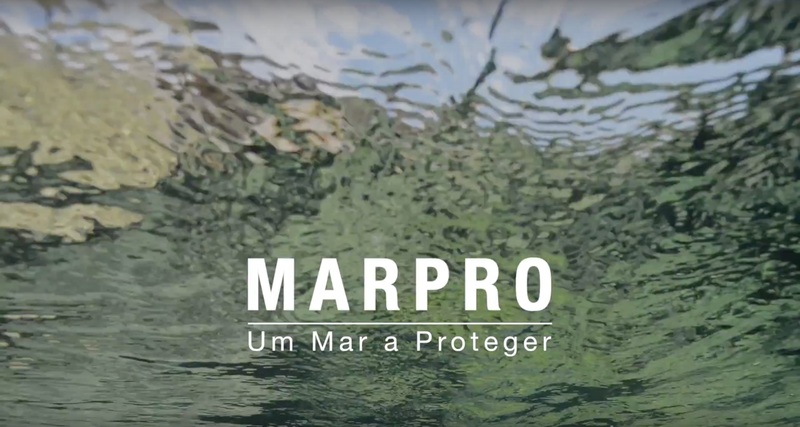 These mini-documentaries will precede the final documentary, which will be aired at the LIFE+ MarPro Workshop: Natura 2000 sites and fisheries. 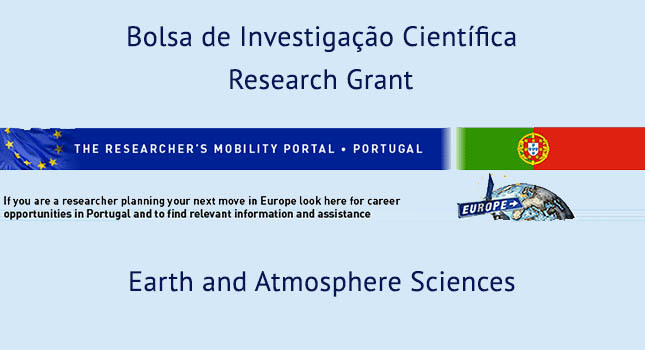 This, FREE REGISTRATION, participative workshop will be held at the APDL – Administração dos Portos do Douro, Leixões e Viana do Castelo auditorium. 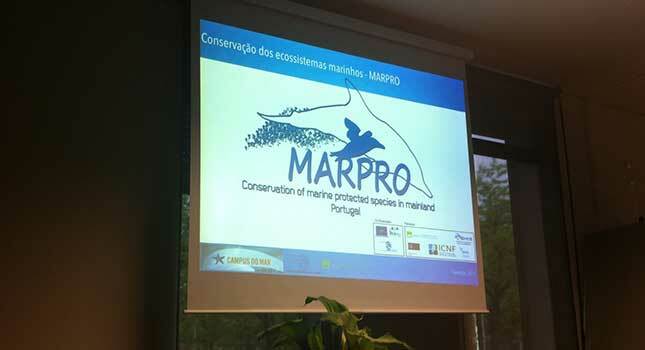 The workshop will focus on the definition of conservation objectives for marine Natura 2000 sites and the incorporation of fisheries on management plans. 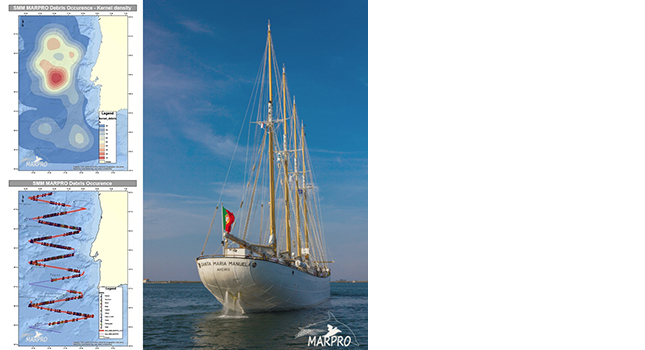 One of LIFE+ MarPro project main objectives is the widening of the Natura 2000 Network in the marine environment. 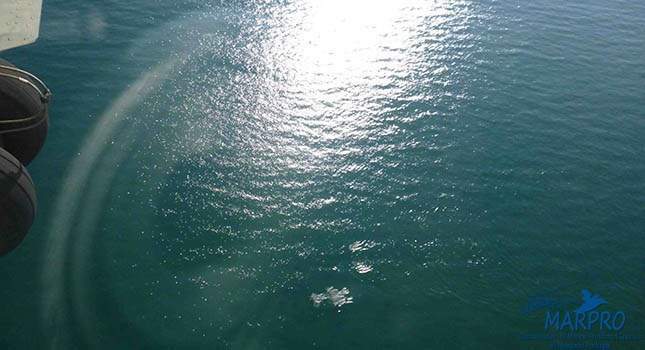 Over the last few years the project partners have been actively engaged in the elaboration of proposals aiming to define new areas in the open sea. On the 21st of October, the first Kemp’s Ridley Turtle (Lepidochelys kempii) to be rescued, rehabilitated and released in Portugal was returned to nature. 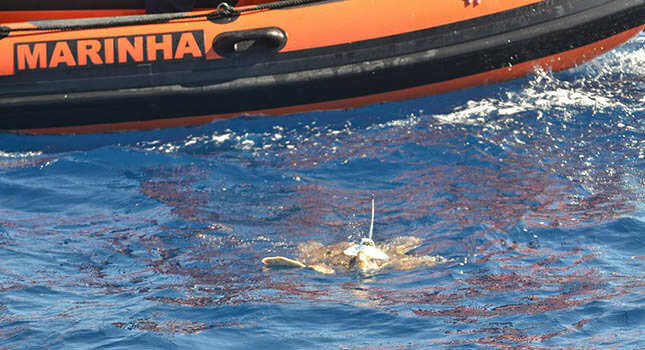 This juvenile sea turtle was accidentally bycaught by a fishing vessel on the past 7th of July. Today, the 24th of September, the 2015 MarPro Annual Aerial Census Campaign (cetaceans and seabirds monitoring) begun at the Portimão Airfield. 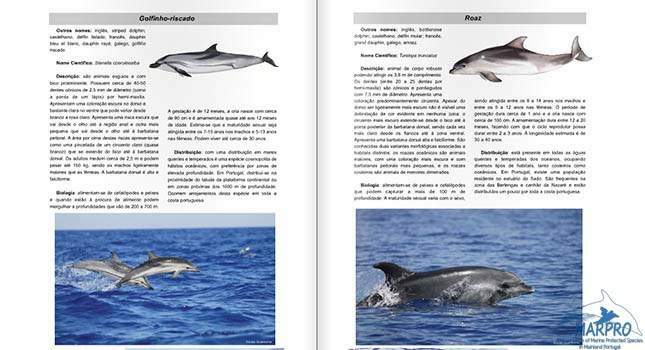 You can watch the report “Observation of Whales and Dolphins in the Algarve” on the SIC Notícias official website. 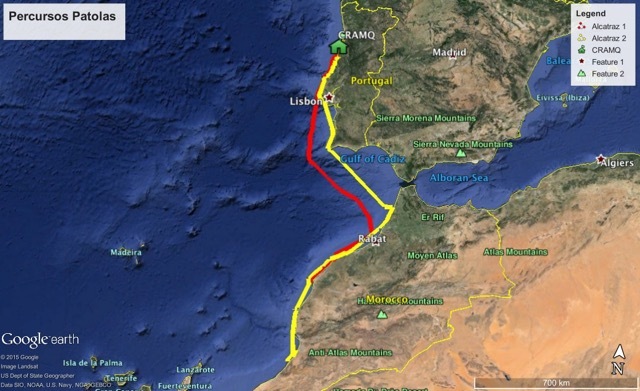 Once again, a northern gannet rehabilitated at CRAM-Q (Marine Animals Rehabilitation Center of Quiaios) equipped with a GPS/GSM device optimized by the LIFE+ MarPro Project decided to continue its journey by going south heading to african waters (yellow track). The revision project for the National Strategy for the Conservation of Nature and Biodiversity is under public review since the 29th of July 2015. The public hearing process will run up to the 27th of July. Karmenu Vella, the Environment, Maritime Affairs and Fisheries Commissary, manifested the intention of actively involving the European Commission in the process of the International Ocean Governance. The main motivation is to ensure that our oceans are safe and that their resources are managed sustainably. 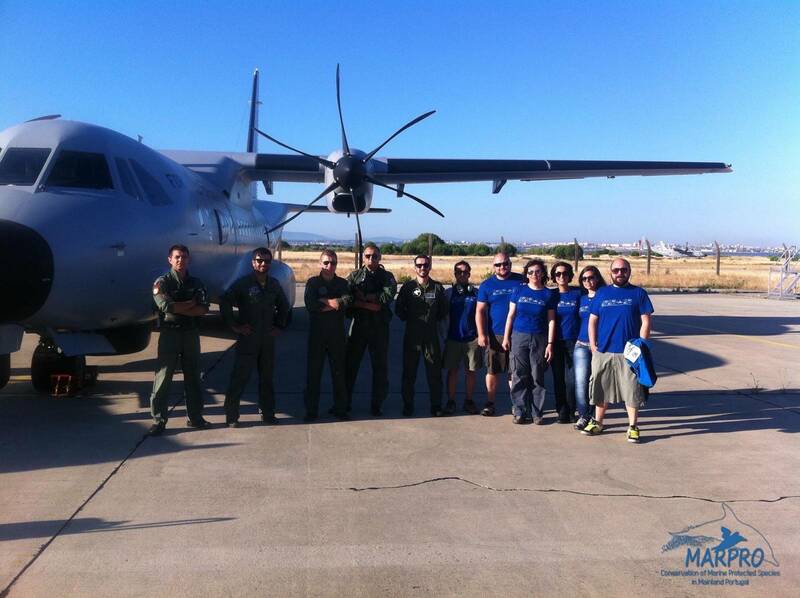 Today we began the aerial census campaign between the 50 and 200nm. 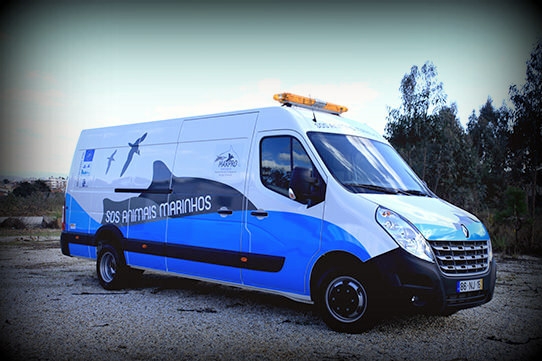 This campaign takes place under the LIFE+ MarPro protocol signed between the Portuguese Air Force (FAP), the University of Aveiro and the Portuguese Wildlife Society. 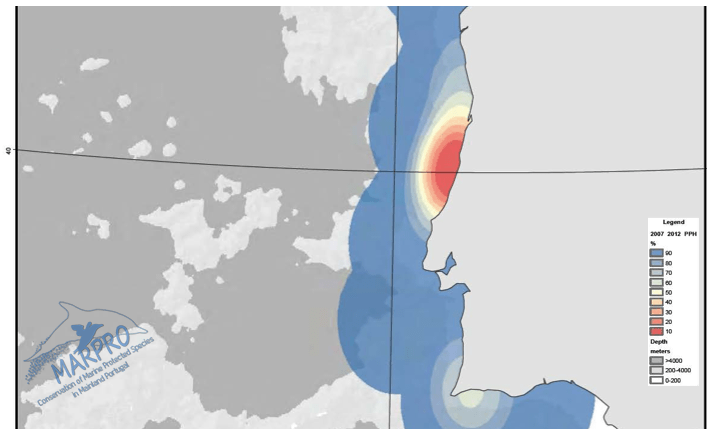 It will allow the standardisation of the sampling methodology aboard airplane for censing areas far away from the mainland, with reduced costs when comparing with ship based methods. 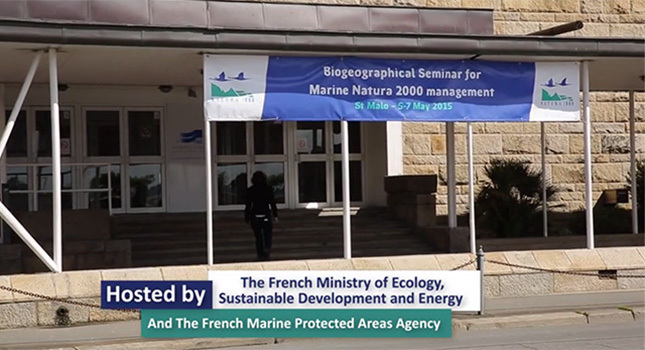 Specialists and representatives from the 23 EU member-states gathered in Saint-Malo to discuss the management of the marine Natura 2000 sites. 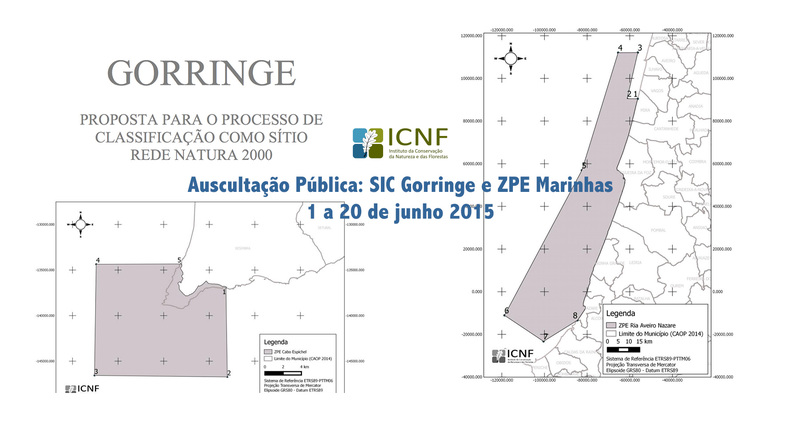 From 1 to June 20, the proposed classification of the Gorringe Bank as a SCI, the creation of Special Protection Areas (SPAs) of Cabo Raso and Aveiro/Nazaré and redefining the limits of the southwest coast and the Espichel SPAs are subject to public hearing. 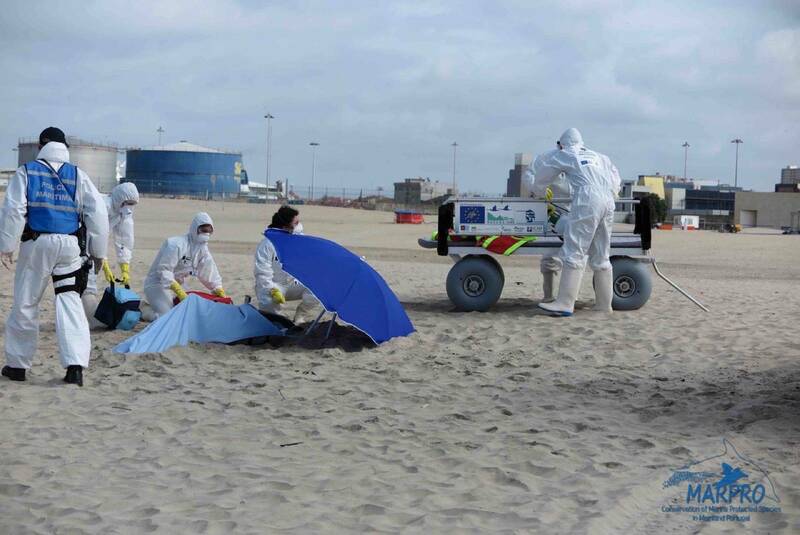 LIFE+ MarPro/CramQ present in the pollution combat exercise "Anémoma 2015"
The "Anémona 2015" Ocean Pollution Combat exercise, promoted by the National Maritime Authority and conducted by the Porto de Leixões Port Authority, took place in the 14th of May in Matosinhos. 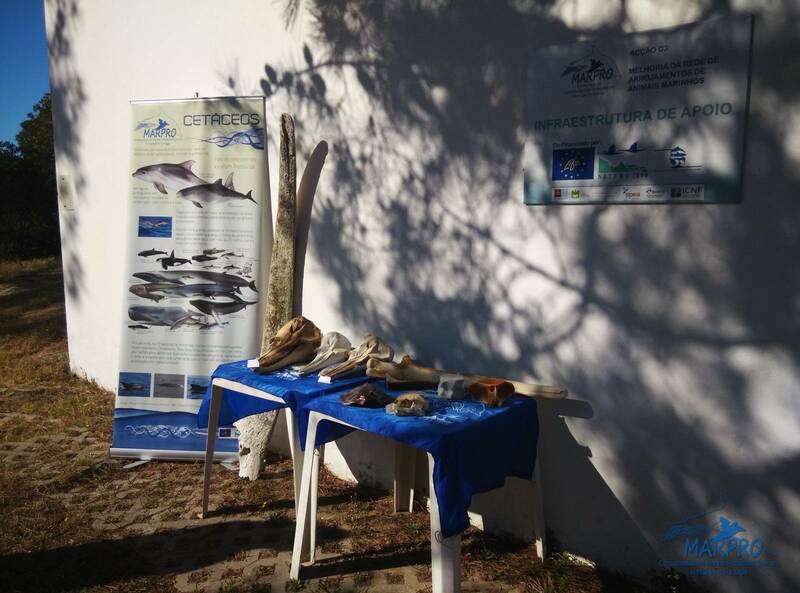 On May 9th, the Project Life + MarPro was present at the "Open Day" at the Parque Natural da Ria Formosa in Olhão, Portugal. 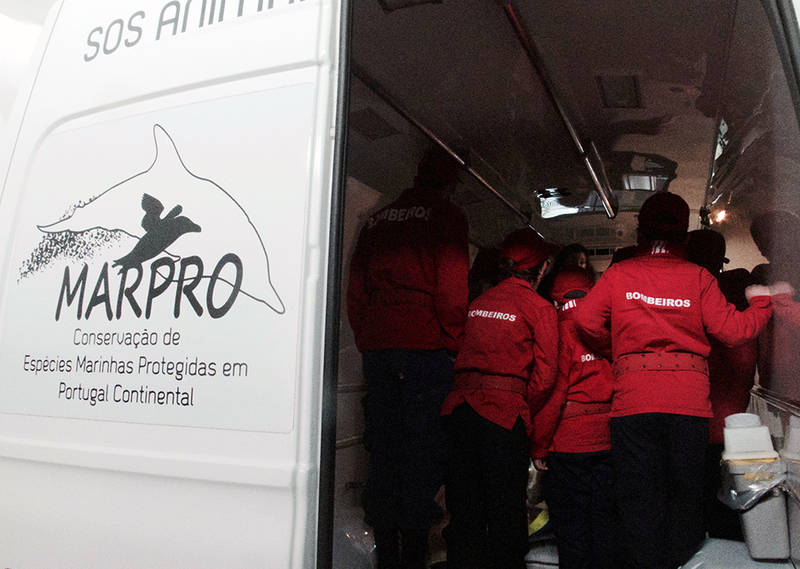 At 10:20h on the 10th of May, the MarPro/Cram-Q team was activated due to a live cetacean stranded in the "Praia do Navio" beach (Santa Cruz). 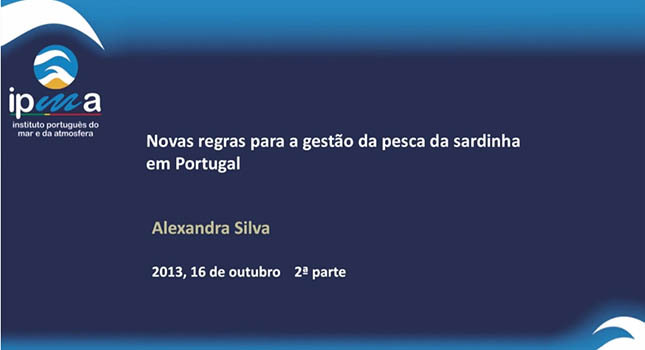 "Health and conservation of marine ecosystems"
The Portuguese Navy Naval School, in cooperation with the National Maritime Authority, the Hydrographic Institute and the Navy Center for Naval Research will carry out at April the 29th the 3rd Conference on Marine Sciences, under the theme "Marine Environment - a Wealth to preserve. Fighting Pollution". 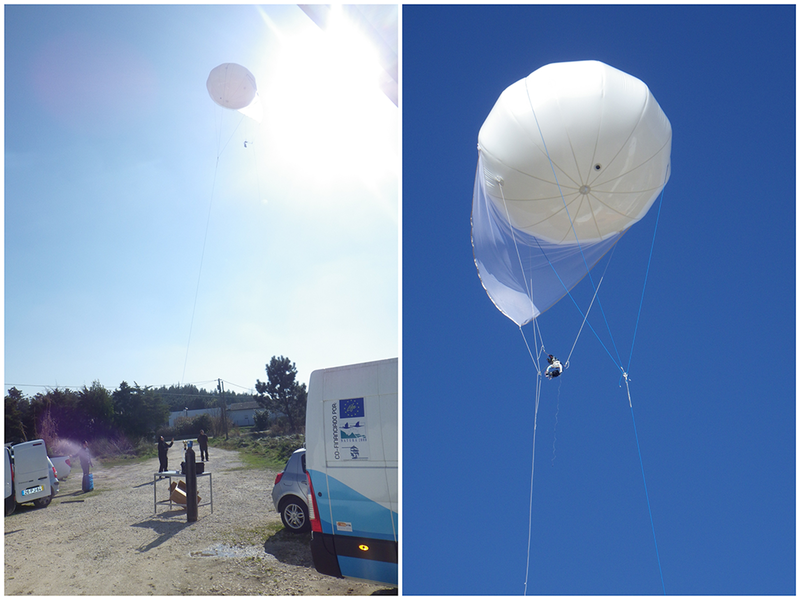 On the 7th february 2015, we performed the first airbaloon trial (produced by Aero Drum) with HD camera to monitor marine animals from coastal points. 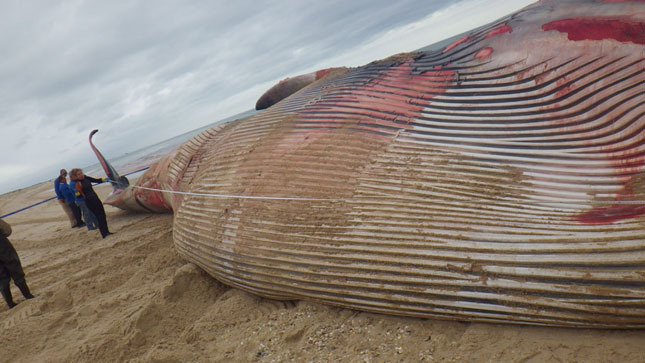 A dead common whale (Balaenoptera physalus) was found in Barril beach, municipality of Tavira, 15 December 2014. 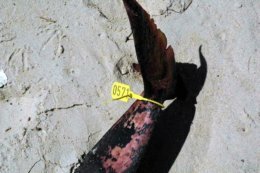 The animal was fresh and had a length of 17m and 76 cm, estimating its weight of about 20 tons. 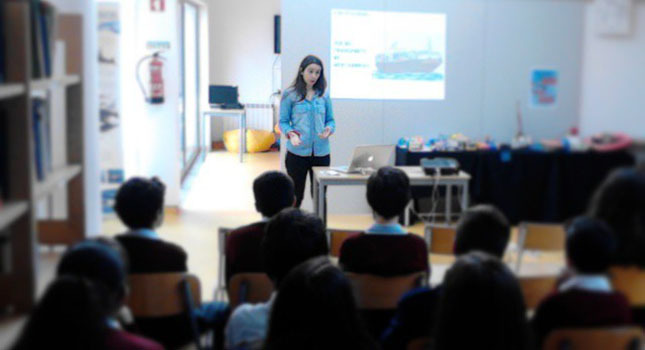 On November 28, 2014, Project LIFE+ MarPro participated in the Science and Technology week at the Colégio João Paulo II, Braga. We hereby want to inform you that the LIFE+ MarPro Award deadline has been postponed to until the 15th of June, 2014! 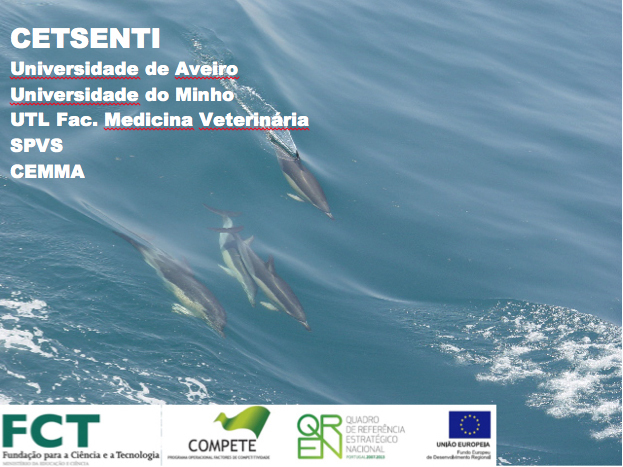 The LIFE+ MarPro project cooperates with project CETSENTI “Cetaceans as marine ecosystem health sentinels"
The International Meeting on Marine Research 2014 to be held at sunny Peniche, Portugal - the Wave Capital, during the 10th and 11th of July. [UPDATE 23/12/2013] included press release. 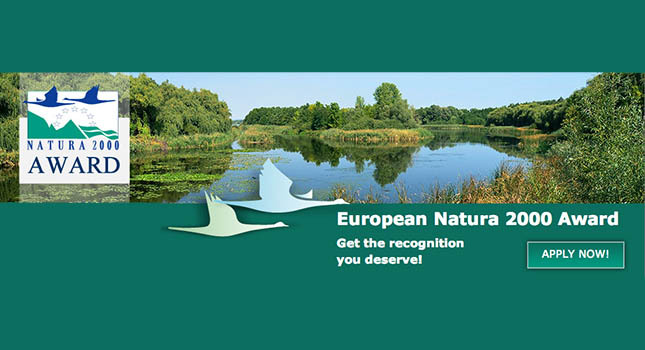 The European Commission is launching a new Award designed to celebrate and promote best practices for nature conservation in Europe. The illustrated guide is another important tool in the diffusion and educational programmes within project LIFE + MARPRO. Browse and Download the Teacher-Student Dossier of LIFE+ MarPro Project. 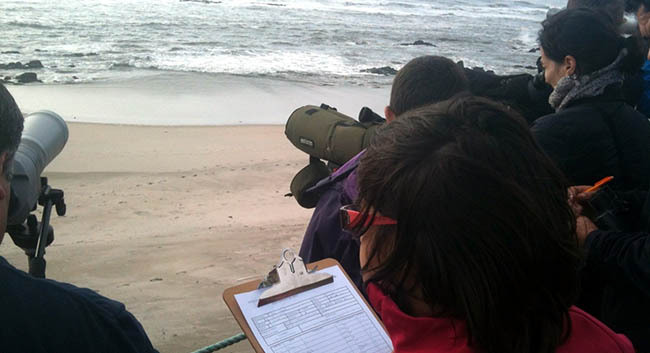 This work tries to be a teaching tool to support teachers and students in their discovery of the marine environment. 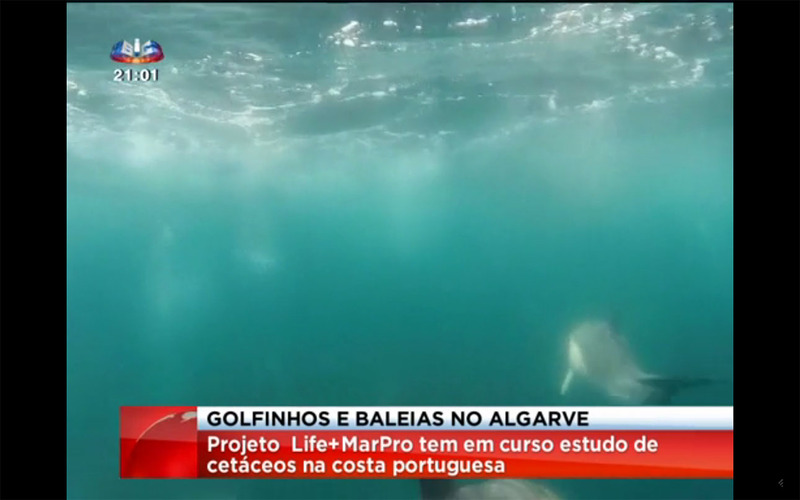 Course " Techniques for censuses coastal birds and marine mammals"
On the 24th and 25th October 2013, it was held in Viana do Castelo, the course "Techniques for censuses coastal birds and marine mammals"
Watch LIFE+ MarPro Project on the Portuguese National TV (RTP2) in "Biosfera" broadcasted last Sunday, November, 3rd, 2013. 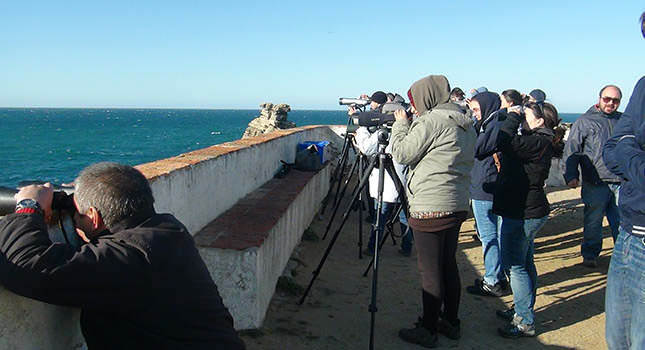 Spain has recently initiated the legal procedure for the designation of 39 Special Protection Areas for marine birds and the proposal of 4 marine areas as Sites of Community Importance of the Natura 2000 Network. 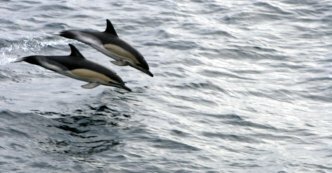 Course on seabird and marine mammal census techniques. 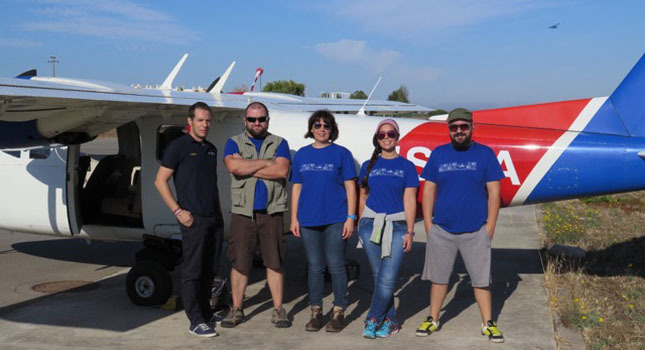 Another airplane census campaign was performed within project LIFE+ MarPro, covering the area between Vila Real de Santo António and Vigo. 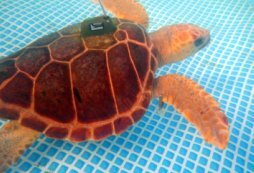 The LIFE+ MarPro Project supported the release of the marine turtle "Julieta". 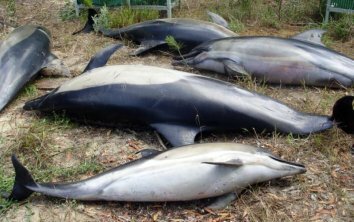 This is the result of dedidation and work of CRAM-Q (Marine Mammal Centre of Quiaios). 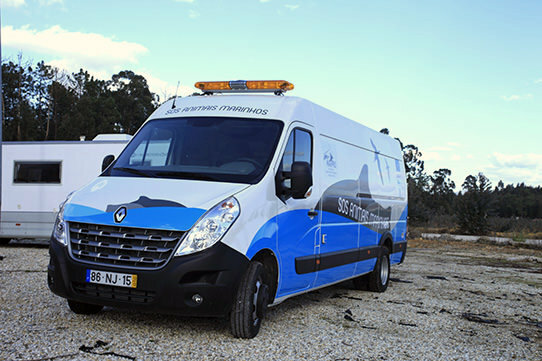 Project LIFE+ MarPro, within the Concrete Conservation Action Improvement of Marine Animals Stranding Network, purchased an emergency vehicle, which will improve the first aid efficiency provided to marine animals stranded along the Portuguese continental coast. 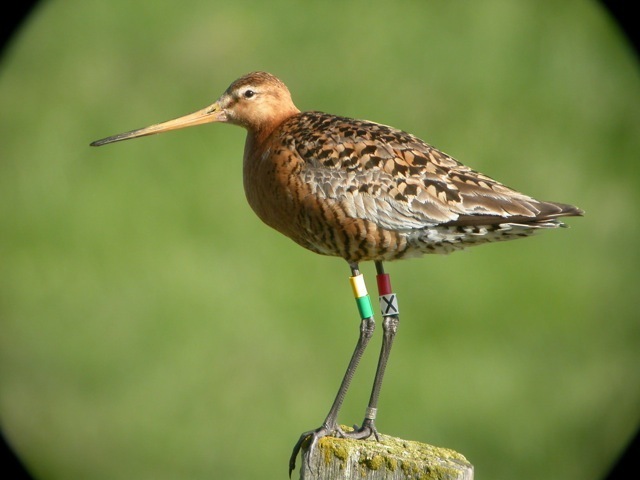 We inform you that the Action A.2: Estimates of abundance and distribution of the target species and Technical Planning, method calibration anda baseline information results are already available available at the Results from Preparatory actions section. 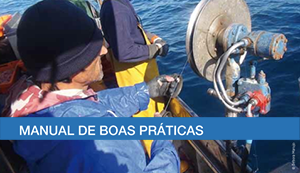 The Best Practices Manuals according to the different fisheries are available online for download at the Results from Preparatory Actions section. 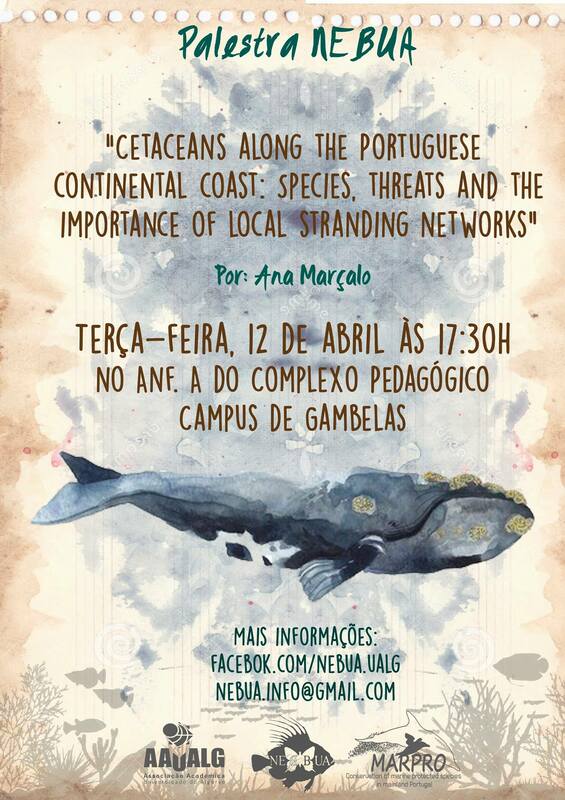 On the 8th throught the 10th of April 2013, Setúbal hosted the 27th European Cetacean SocietyInternational Conference. 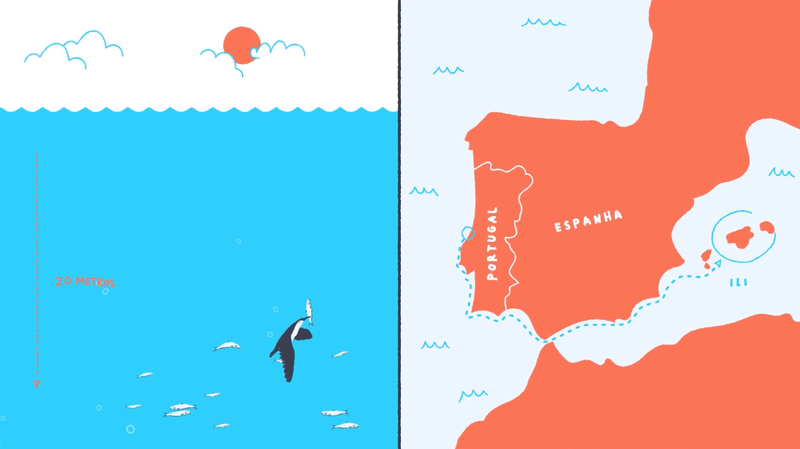 The high profitability of investing in Portugal: a shorebird’s perspective! 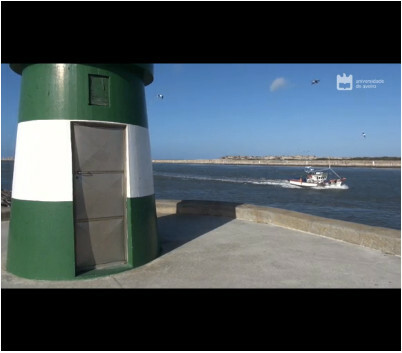 Watch the Aveiro Institute for Marine Science and Technology (AIMare) presentation movie. 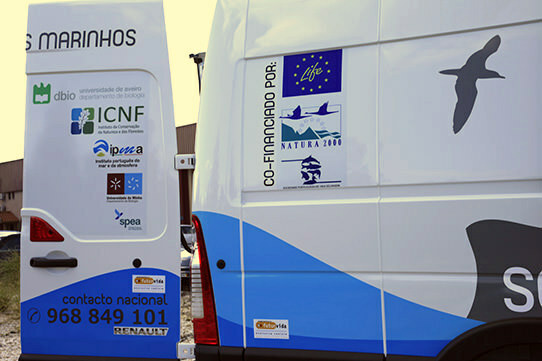 Campus do Mar implemented the initiative MAR*JOB in order to meet employers and job candidates and grants in the field of science, technology and sea management. 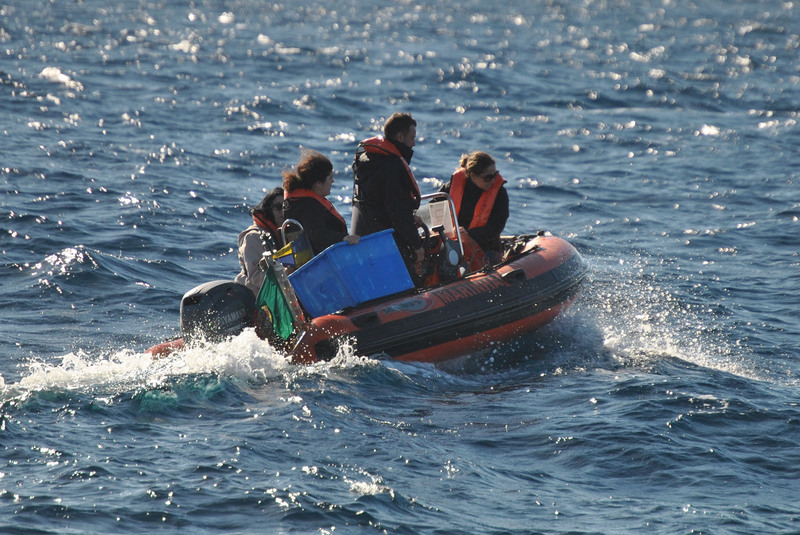 The International Campus of Excellence Campus do Mar has open the 2nd application period to the Marine Science, Technology and Management (DO*MAR) PhD program with the aim of offering internationally acclaimed excellence in marine training. 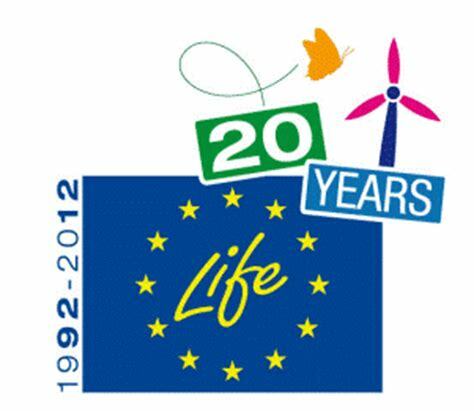 The LIFE programme celebrates its 20th anniversary throughout 2012. To mark this important milestone in the history of the EU's financial instrument for the environment, the WW4ENVIRONMENT project is holding an event called "20 years of Programme LIFE in Portugal". 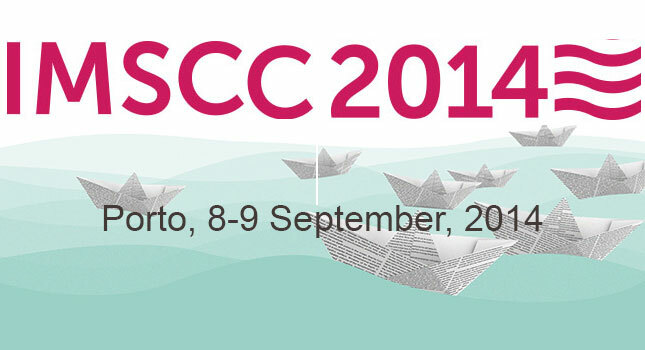 The 27th European Cetacean Society Conference will be held in Setúbal, Portugal, from 8-10 of April 2013. 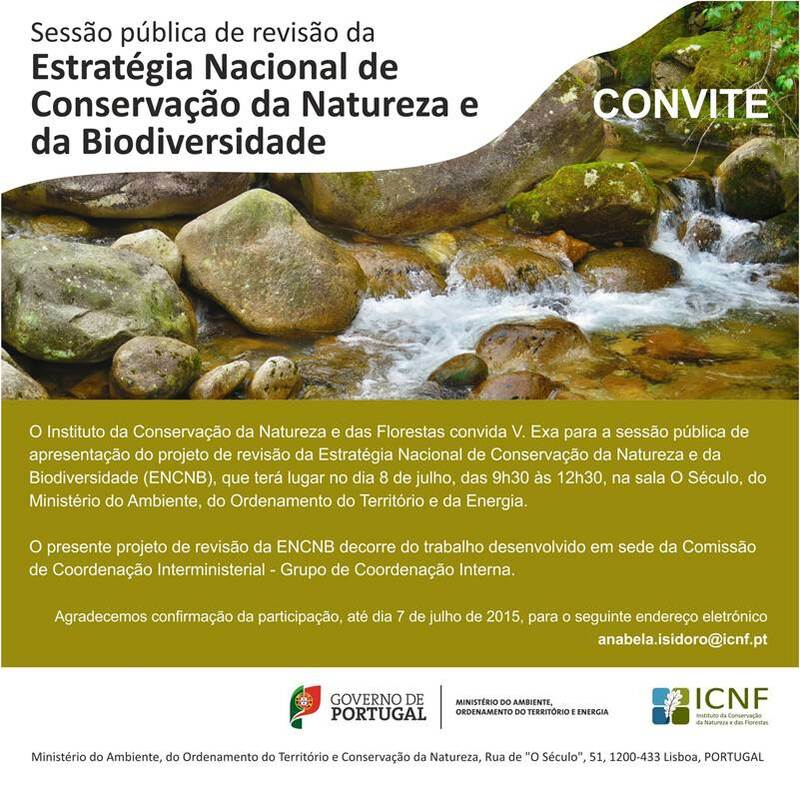 It will be hosted by Escola de Mar, Associação Para as Ciências do Mar and Reserva Natural do Estuário do Sado (RNES-ICNF) with the sponsorship and support of the Municipality of Setúbal. 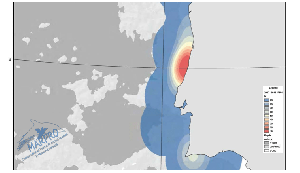 Between the 6th and the 9th of September, the MarPro Project performed another aerial census campaign for cetaceans and seabirds between the coastline and the 50 nautical miles. 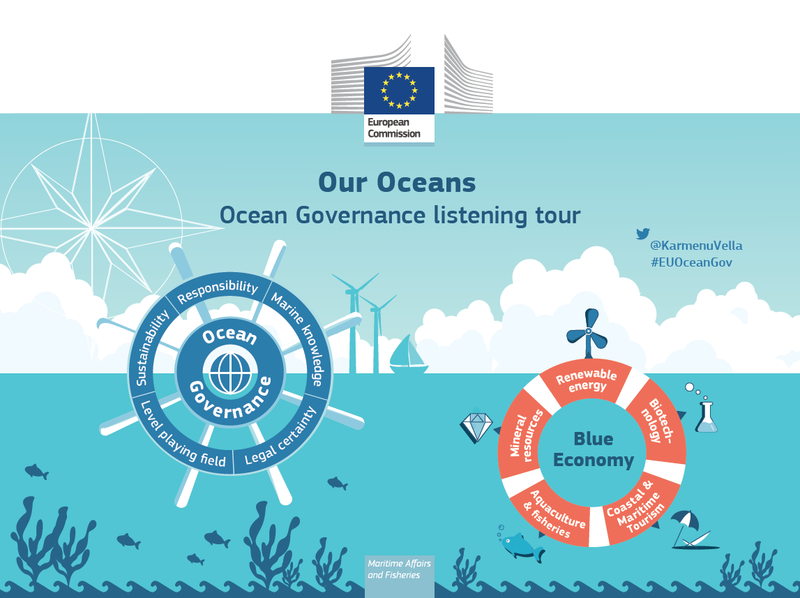 The oceans and seas that surround Europe offer new opportunities for growth and jobs to meet the Europe 2020 goals. Campus do Mar is starting in the 2012-2013 school year the Phd. Program in Science, Technology and Sea Management. 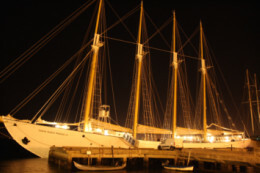 Its purpose is to offer education of execellence in maritime studies with international projection. 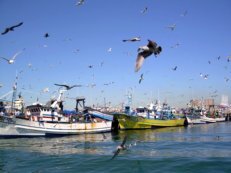 Two recent studies highlight the harm that industrial fisheries are doing to the world's seabirds. 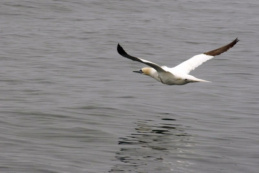 But tighter regulations and innovative technologies are starting to significantly reduce seabird 'bycatch'. The Department of Culture, Education & University Planning of the Xunta de Galicia (Spain) has just announced 99 PhD grants within the framework of the 2011-2015 Galician Plan for Research, Innovation and Growth (Plan I2C) for the year 2012, with a view to promoting the entry of university graduates into the PhD programs of Galician universities. Campus do Mar announces 10 scholarships for pursing Masters studies at any of the three universities of the Galician University System (Universities of Vigo, Santiago de Compostela and A Coruña), promoters of the Campus do Mar - International Campus of Excellence. 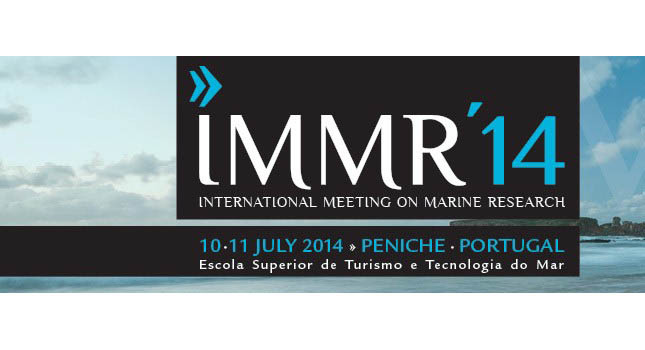 Under the cooperation protocol between CIEMar - ílhavo and CESAM, we welcome you to the I CIEMar Seminar: Portuguese Sea Challenges - The expansion the Continental Platform, taking place on September 15, 2012 at the auditorium of Museu Marítimo de Ílhavo (Maritime Museum of Ílhavo). The event gathers specialists who share a common research interest on host-parasite relationships and, more specifically, its interaction with environmental change. 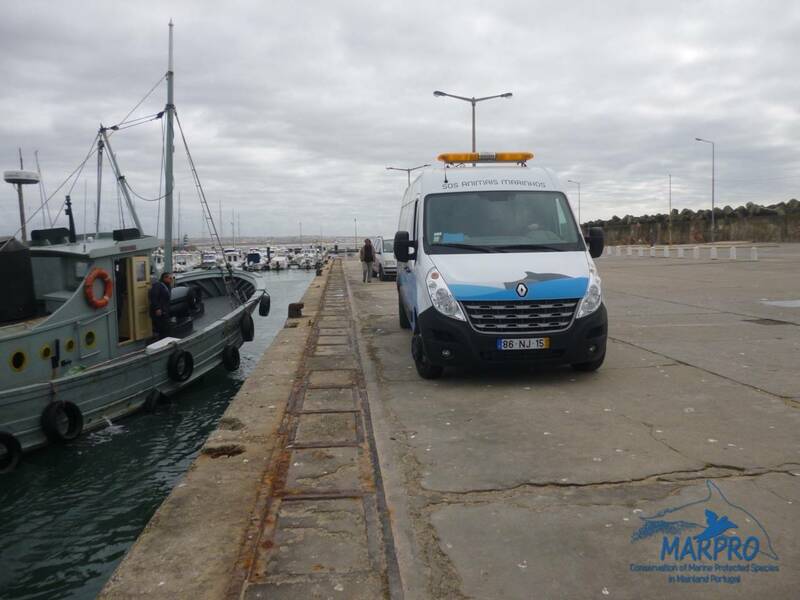 On the Sea Week taking place between 6th of July and the 10th of July an exhibition will be held at CMIA - Viana do Castelo named MARgens com vida. 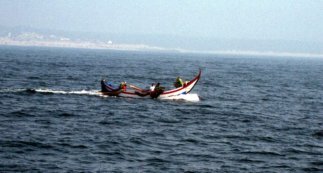 Several marine investigation institutions of the Galiza-North of Portugal, are promoting in Viana do Castelo the "Sea Week" from the 6th to the 10th of July. 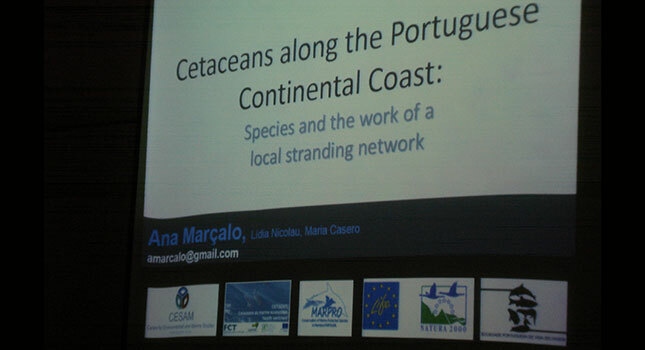 LIFE+ MARPRO Workshop: "Strandings and Marine Animal Rehabilitation Networks"
It is our pleasure to invite you to the MARPRO Workshop: "Stranding and Marine Animal Rehabilitation Networks" wich will take place at the Figueira da Foz Municipal Auditorium, Figueira da Foz, Portugal from June 2 to June 5, 2012. 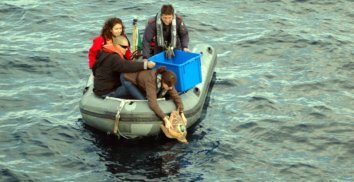 Today, April the 10th, 2012, a sea turtle, species Dermochelys coriacea, was returned to its environment. 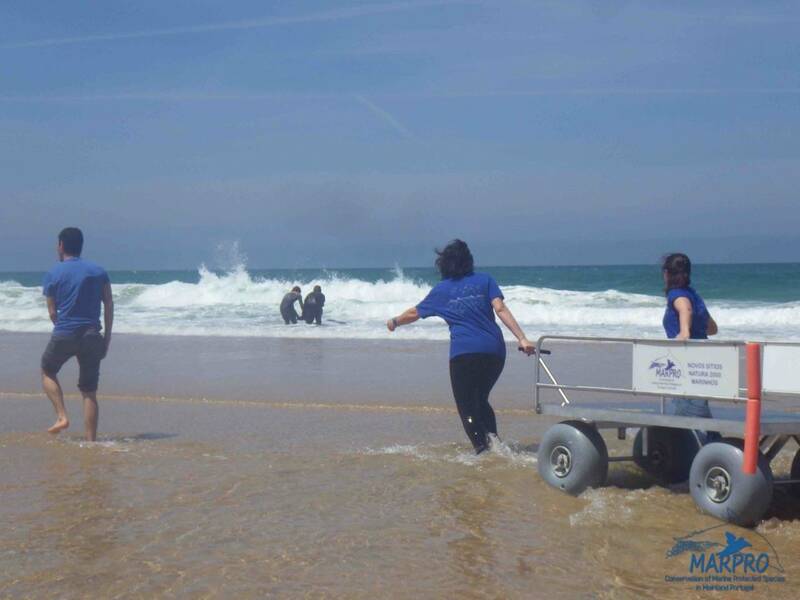 Its rehabilitation was done at the Marine Mammal Recovery Centre of Quiaios(CramQ), Portuguese Wildlife Society (SPVS) in cooperation with the Firefighter of Figueira da Foz Municipality, Macodal and Centro Litoral OP. Workshop on "Marine Mammals: Identification and Handling Techniques"
As a part of regular training provided by the ICNB will take place next March 27 from 10:00 to 13:00 at the premises of the CMIA of Costa da Caparica a workshop on "Marine Mammals: Identification and Handling Techniques"
On March, 19 and 20, SPEA and University of Minho will conduct a course on techniques for coastal census of birds and marine mammals. The latest LIFE Focus publication is a special edition to mark the 20th anniversary of the LIFE programme in 2012. A joint publication of the LIFE Nature and LIFE Environment units, The Voices of LIFE: 20 years of getting things done focuses on the people who have helped the LIFE programme achieve so much over the last two decades. 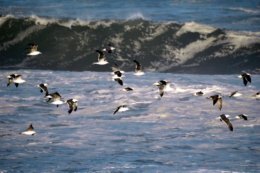 In a joint action with University Of Minho, da SPVS an Maritime Police of Nazaré on the 4th of January, 2012 was possible to collect 5 razorbills (Alca torda) who were still alive and trapped in fishing nets in the bay area of Nazaré. 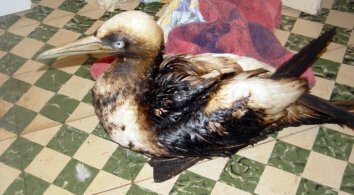 Since the beginning of 2012, 557 seabirds were found dead mostly in the shores of Peniche and Nazaré. Help LIFE celebrate its 20th anniversary! The LIFE programme celebrates its 20th anniversary in May 2012. To mark this important milestone in the history of the EU's financial instrument for the environment, the LIFE unit invites you to take part in not one but TWO special competitions. 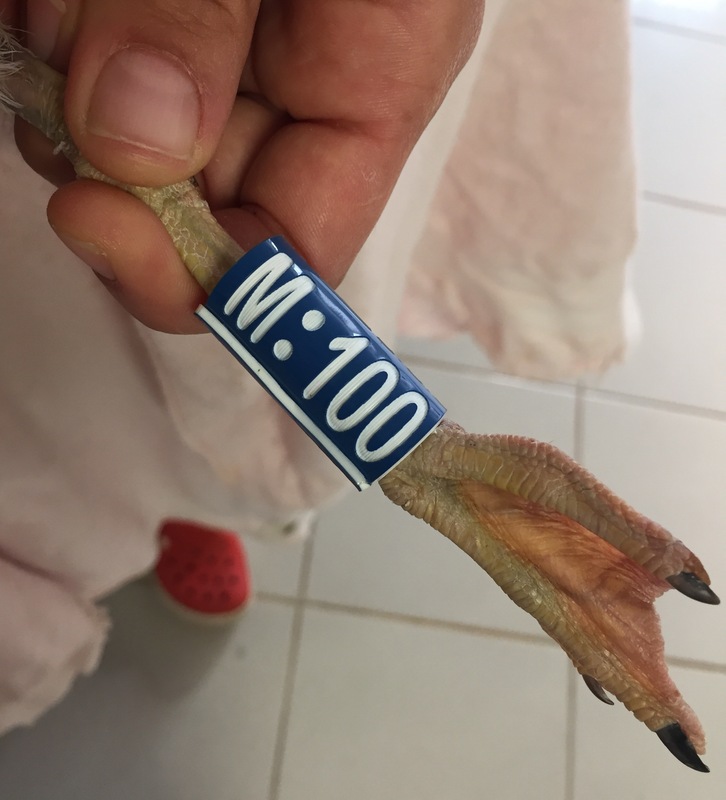 Action A.6 - Over the past months, a very high number of stranded seabirds has been recovered at the Rehab Center for Manine Animals in Quiaios. The EU Member States represented on the LIFE Committee and the European Commission's LIFE Unit have announced the Best LIFE Environment Projects 2010.